One of the great American sitcoms of the 1990s merits a great complete series box set. And for fans of the show’s 9 seasons, this one gets the job done. The show follows a working-class couple, Doug (Kevin James) and Carrie, who live in Queens, NY with Carrie’s slightly senile father, played by the always hilarious Jerry Stiller. They struggle with typical working-class problems such as coping with dead ends at their jobs, but they also explore some societal pressures involved with comparing themselves to other couples their age. King of Queens has one of the more catchy opening title songs, “Baby All My Life I Will Be Driving Home to You.” And its supporting cast is generally fantastic. My favorite of the bunch is Spencer, played by Patton Oswalt. Oswalt’s character delivers some of the most engaging and cringe-worthy laughs. For fans of Everybody Loves Raymond, CBS developed some great crossovers for the two shows, with Raymond appearing in several episodes of King of Queens and Doug appearing in several episodes of Everybody Loves Raymond. The two show’s tonal similarities fit really well. The Kevin James-headed show has aged relatively well. The situations are still explored in newer sitcoms. 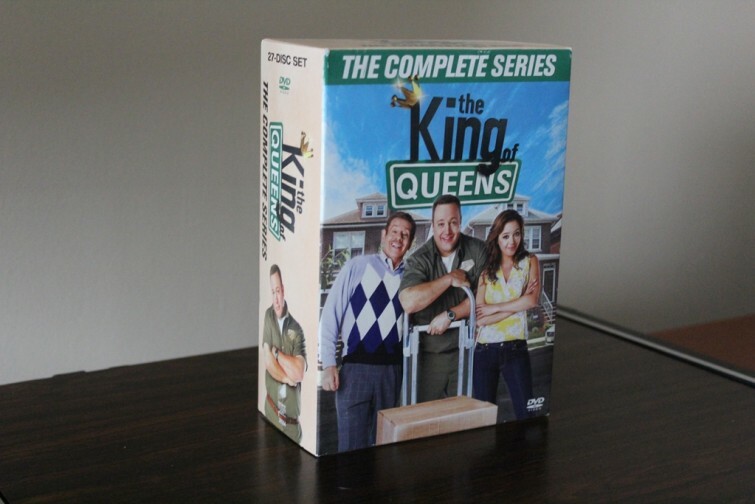 And any King of Queens fan can easily pick out a handful of their favorite episodes or moments from the series (mine is the paintball episode). But some might find the show’s young couple’s general apathy and self-centeredness a bit of a turn-off after a while. The extras aren’t anything spectacular. But for fans of the show who are looking for a standard complete series box set, this one takes up far less space and is far cheaper than buying each season separately. And for more die-hard fans, there is also a limited edition complete series box set that’s shaped like Doug’s IPS delivery truck. Order the standard complete series box set: here. Order the limited edition complete series box set: here.